← Monday 13th April – Tweed report for week ending Sat 11th April 2015. The River Tweed hosted the 2014 FishPal Malloch Trophy award ceremony last month at Ednam House Hotel, Kelso. The evening opened with a Tweed Foundation seminar on salmon, discussing salmon catches, spawning, juvenile stocks. It was encouraging to hear that most areas of the Tweed catchment produce large numbers of juvenile salmon and one of the most productive rivers in Europe. The size of Tweed spring salmon are getting bigger. The 2014 FishPal Malloch Trophy winning fish caught last spring on Hendersyde beat at 33lb confirms this theory. The biologists said 15% of spring fish entering the system are over 13lb along with big three sea wintered springers. 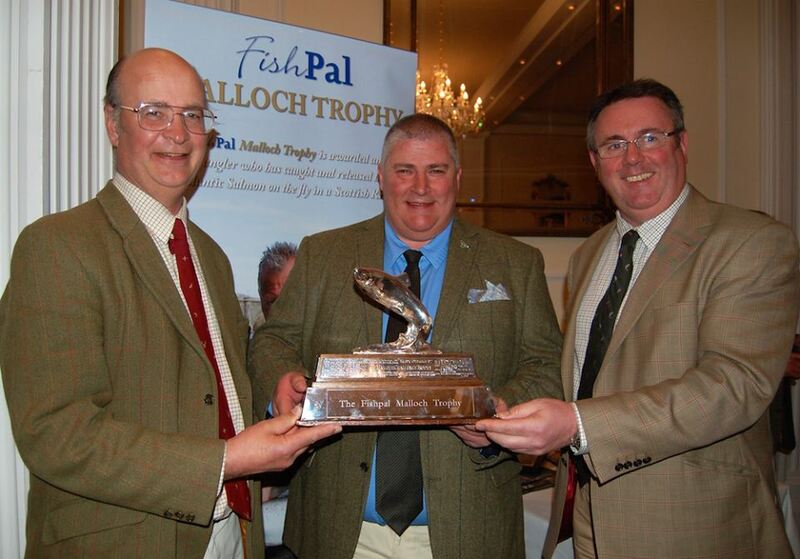 Will the 2015 FishPal Malloch Trophy succumb to another Tweed springer? There is a very good chance – find fishing. Before the coveted trophy was awarded to the 2014 winner, Wayne Longstaff, FishPal’s CEO Mark Cockburn and Tay Foundation Chairman John Wood announced a junior Malloch Trophy to recognise and encourage more young anglers into our sport. Wayne won a silver replica of the FishPal Malloch Trophy. Winning beat Hendersyde and head boatman John Kitchingham were also recognised at the ceremony. Reblogged this on Abbey Book-keeping Services.